Sulilo: What do I see in her?!? Have you ever met or seen or heard of someone who led you to say, "Wow. 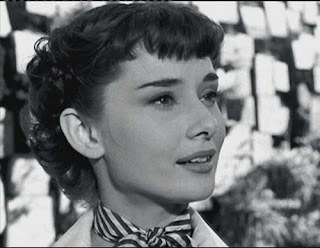 I wish I were as graceful as her," or "I wish I had that kind of creativity" or, I really wish "I wish I were more like her"? Last night was Day 16 of the Chopra Center's 21-Day Meditation Challenge, and the topic was Archetypes. This is a fun one that may have you pulling out the collage supplies or a journal. We were given a number of attributes and were asked to think of who comes to mind as someone we admire for that attribute. That person would then become our Archetype, or representative for that trait. Grace. Let's say you want a little bit more Grace in your life. Who comes to mind for you as someone who flows with this quality? For me, it's Audrey Hepburn. For me, the person who comes to mind is professional celebrity makeup artist, Kandee Johnson. Kandee is a single Mom who started making makeup application tutorial videos on YouTube and has grown her audience to where she now travels the world teaching "Glaminars," her makeup seminar classes. I was lucky enough to attend 2 of them last year and meet her in person. To see how far she's come - her journey has her doing MUCH more than makeup - and how many lives she's touched, it is incredibly inspiring. I really want to be successful and live my dreams just as Kandee has done (and continues to do, I hope). It's about finding your talents and passions, getting creative, and sticking with it. So, for me, Success is Kandee Johnson. I'll share one more (and I hope you'll feel led to share at least one of yours as a response comment!). Emotional Stability. The first person that came to mind for me was Oprah Winfrey. She simply mentions something that she likes and everyone runs out to get it. You know why? They trust her. She's established herself over decades. She's as cool as a cucumber whether she's talking to an audience member or to the next president of the United States. Pretty much always cool, calm, collected, and professional. I would love the opportunity to just have lunch with her and pick her brain. She truly amazes me. So for me, Emotional Stability = Oprah Winfrey. 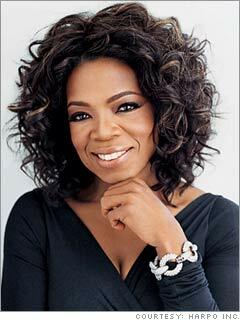 Oprah | Courtesy Harpo Inc.